Do you use “Dad or “Father”? It doesn’t seem like a difficult question, right? Well for me and my sister, there was no question at all. Gussie was proper about a lot of social protocol. 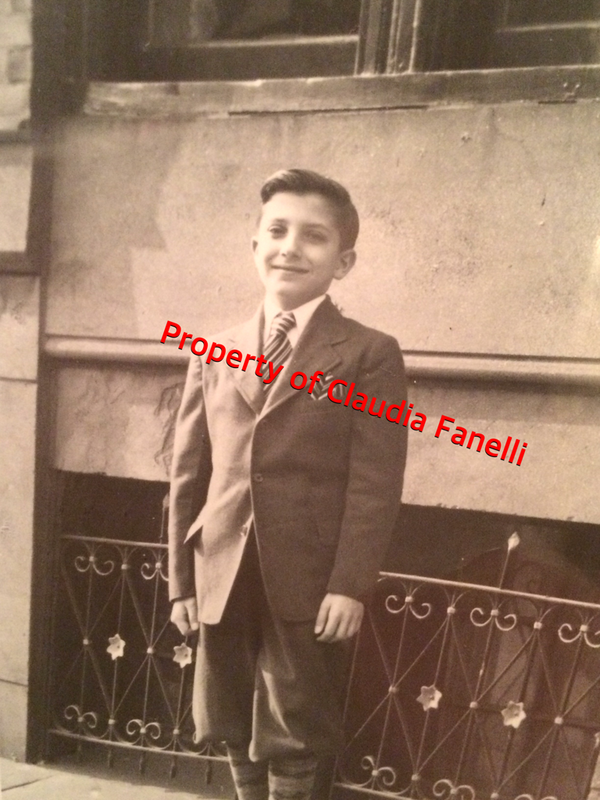 For example, if one of my sister or my friends called and my father answered the phone, he expected the caller to say “Hello, Mr. Fanelli, may I speak to …” His reason was that since he was the only male in the house, our friends knew who was answering if he picked up the phone. If we had company, whatever we were doing at that moment stopped and we went to greet whoever had stopped by, and made ourselves available to say goodbye when they left. My daughter helped me understand this distinction by explaining that among her friends and classmates, many of whom have divorced parents and some of whom don’t have good (or any) relationships with their fathers, some people aren’t worthy of being called one’s father. And, that to some, that term implies a lofty position in a child’s life. Anyone can be a “Dad” and of course, when we are children, we often use the term “daddy,” directly to our fathers and that’s a special word, too, but not for referring to someone. The current term “baby daddy” isn’t used to denote a good father, just the man whose DNA the child possesses. “My baby’s father” implies a stronger connection. He specifically recalled a day when he was young when his step-father dropped him off to see his father. He got out out of the car and ran to my grandfather and said “Hi Dad!” Then he turned to his step-father in the car and said, sheepishly, “Bye, Dad.” He felt conflicted and unloyal to his own father to call them both “Dad.” It must have been confusing to a little kid, yet so strong a feeling to my father that it was something he remembered some 65 years later. So it’s obvious that my father had some strong convictions about why he wanted us to refer to him as “father” to others, and not “Dad.” He wanted that title- he took it seriously and it was the most important job he ever had. He did pride himself on correct English, of course, but instead of thinking of him as a stickler for social graces and proper English, as an adult I now realize the layers of meaning and experience behind his insistence on the term. One of the definitions of the word “father” is “a man who gives care and protection to someone or something.” By definition, then, Gussie was certainly our father, he cared for his children and protected us physically and emotionally from situations and people. So, though it’s easy to slip into common vernacular and refer to him as “my dad,” I’m careful to avoid it, especially now that he’s not here to reprimand me. I was drawn to this by the Star Wars-like title but so coincidental that my dad, er, father still insists on this, too. Great post! Sorry for your loss.